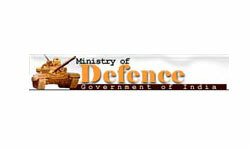 Society of Defence Technologists was established in the year 2001 with its members consisting of DPSUs, Ordnance Factories, DGQA, DGAQA and DOS to serve as a forum for promoting the common interests of the member organisations. It is a professional and non-profit organisation with a mission of ensuring self-reliant industrial support to the defence services in the country. It provides platform to the DPSUs and Ordinance Factories to interact and work towards strengthening the defence forces. The Company traces its roots to the pioneering efforts of an industrialist with extraordinary vision, the late Seth Walchand Hirachand, who set up Hindustan Aircraft Limited at Bangalore in association with the erstwhile princely State of Mysore in December 1940. The Government of India became a shareholder in March 1941 and took over the Management in 1942. Today, HAL has 16 Production Units and 9 Research and Design Centres in 7 locations in India. The Company has an impressive product track record - 12 types of aircraft manufactured with in-house R & D and 14 types produced under license. HAL has manufactured 3,550 aircraft (which includes 11 types designed indigenously), 3,600 engines and overhauled over 8,150 aircraft and 27,300 engines. THE UNIQUE SPECIAL METALS & ALLOYS PLANT OF INDIA, MISHRA DHATU NIGAM LIMITED (MIDHANI), located in the historic city of Hyderabad in Andhra Pradesh State, is a Government of India Enterprise. It is a unique, modern and integrated metallurgical plant for manufacturing a wide range of special metals and alloys for meeting the critical requirement of strategic industries such as space, defence, power, aeronautical, automobile, electrical, telecommunications, petrochemicals, lamp and general engineering industries. Mazagon Dock Shipbuilders Limited is India's top-of-the-line shipbuilder with an ISO 9001 accreditation. Our shipyard has seen the construction of vessels such as Warships (including 6,700 T Destroyers), Submarines, Cargo vessels, Tankers (up to 27,000 DWT), Tugs and Dredgers. We employ the latest techniques to construct ships for both defence and commercial purposes, and are fully equipped with CAD/CAM/CIM facilities. Hindustan Shipyard Limited is the largest public sector shipyard in the country and the first yard to obtain ISO 9001-2000 accreditation. Recently, the yard has obtained certificate of approval of ISO 9001-2008 Certification from IRQS on 09 Nov 2012. Since inception, the yard has delivered 169 vessels of various types and repaired over 1900 vessels. The yard has three slipways, a covered building dock, a wet basin and a dry dock along with necessary facilities required for shipbuilding, ship repairs and submarine repairs. Over a period of time the yard has been able to emerge as a one of the major players in the Indian maritime sector.